Congratulations are in order for one of our own, Archon Karl Gentles who recently made history by winning an appointment to the powerful Arizona Power Plant and Transmission Line Siting Committee, and integral committee of the Arizona Corporation Commission. 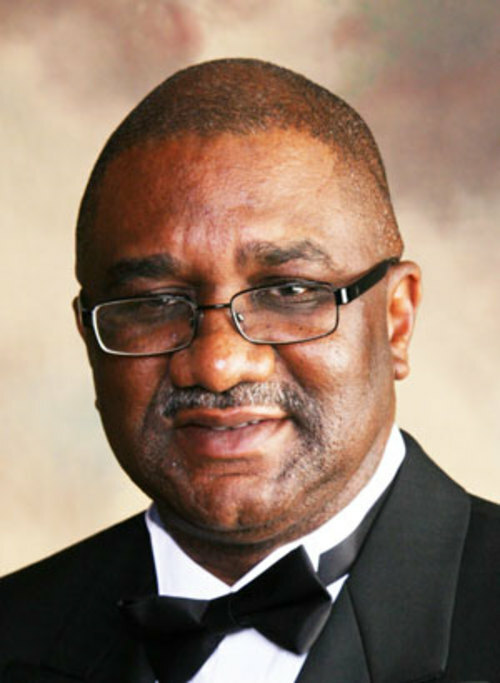 Archon Gentles will represent the general public on the statewide committee. The two-year term is effective immediately through March 12, 2021. 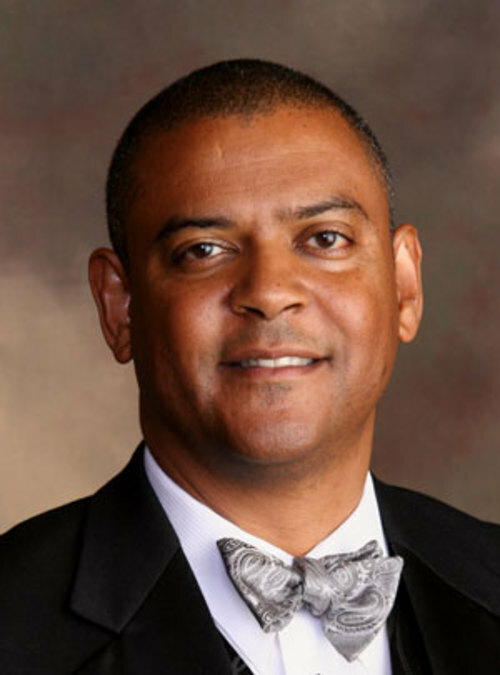 Archon Gentles appointment marks the first time that an African-American has ever held a seat on this prestigious committee since its inception in 1971 by the Arizona Legislature. Moreso, Archon Gentles was voted into this position by a 4-1 vote of the Corporation Commission, winning by an overwhelming majority, and defeating the Republican candidate of the Republican dominated committee. Corporation Commissioner Honorable Sandra D. Kennedy-Burton, who is an Archousa nominated our worthy Archon based on his community services and his continued interest in the growth our state. This latest elevation leaves no doubt that he is a man on the move. The Arizona Power Plant and Transmission Line Siting Committee provides a single forum for the expeditious resolution of all matters concerning the location of electric generating plants and transmission lines in a single proceeding to which access will be open to interested and affected individuals, groups, county and municipal governments and other public bodies to participate in these decisions. In general, the Committee has jurisdiction on proposed plants generating 100 megawatts or more; and proposed above-ground transmission lines designed for 115kv or higher. 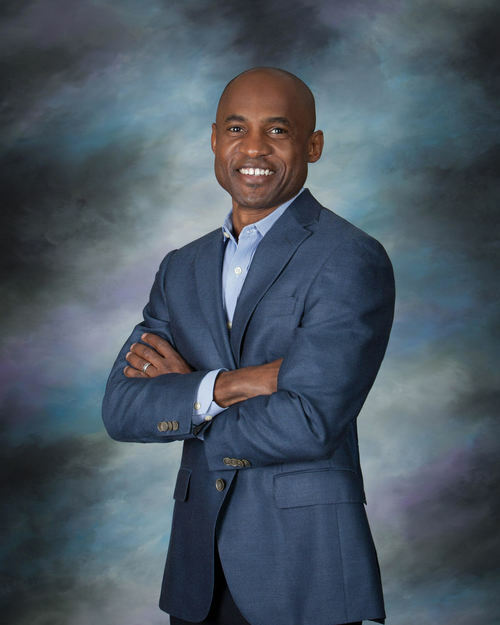 Archon Gentles is a highly sought after speaker and panelist and this election bodes further evidence of his integrity and the respect that he has in the Phoenix community and Arizona in general. 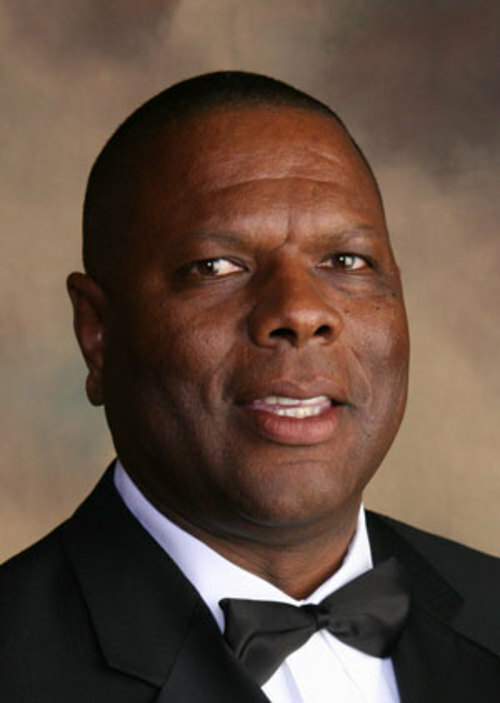 He is a Past Sire Archon of Gamma Mu Boule and currently an active member, of Sigma Pi Phi. Archon Gentles is a partner at Goode Wright Gentles, and the Executive Director of the Back to School Clothing Drive, a non-profit that helps provide clothing, shoes and school supplies to underprivileged children throughout Phoenix. In addition to serving on the Arizona Power Plant and Transmission Line Siting Committee, he serves on the boards of the Morrison Institute for Public Policy at Arizona State University, Maricopa Integrated Health Systems Audit and Finance Committee, Grand Canyon University’s Honors College and Business College Advisory Boards. Cudos to Archon Gentles and good fortune going forward as he continues into previously unchartered areas affording equal protection and benefits to everyone invested in Arizona's future. Thank you, Archon Gentles. 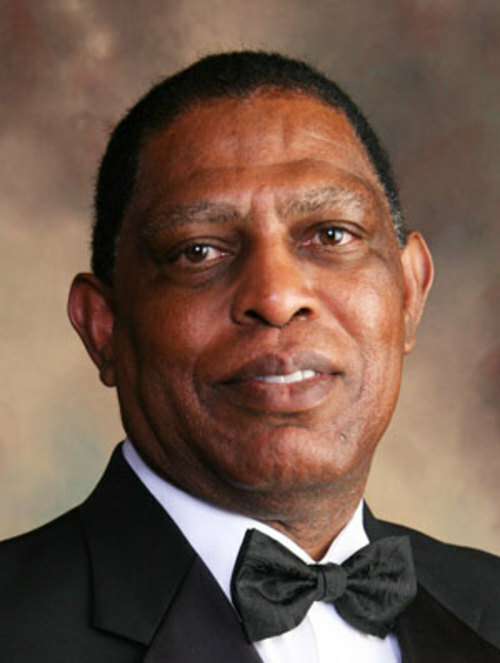 Archon M C. Burton, Jr. The Back to School Clothing Drive, Golden Masquerade Gala will take place on Saturday, May 18, 2019, 6 – 10 pm, at the Phoenix Art Museum. An invitation has been mailed to you so you should receive it in the next few days. I have attached an electronic invite here for you as well. Yes, this is the same day as the GMES golf tournament so you can plan to golf/volunteer in the morning and finish off the evening with us! As you may know I am the executive director of the organization and a number of you have either attended the gala or donated in the past or volunteered at our annual summer event. This year we need your support and as such ask that you consider purchasing a ticket or banding together to purchase a table, or perhaps your company can purchase a table. Honorees at this year’s event include Wells Fargo, Fennemore Craig, and Bonnie Smith (First American Title exec and long-time board member) will receive our Champions for Children award. We have a pending invitation into Mayor Gallego to deliver remarks. Our gala helps us raise the $350,000 we need to execute our summer distribution event held annually at Grand Canyon University. As you may know over 5,000 elementary school students receive new school uniforms and outfits, backpacks and school supplies to help them prepare for their first day of school. Thanks for your consideration and support. Gamma Mu boulé Archons and Archousai spent Saturday (4/6/2019) afternoon/evening enjoying a great discussion covering a variety of issues; everything from criminal justice reform to the importance of civic engagement in local, state, and federal politics. 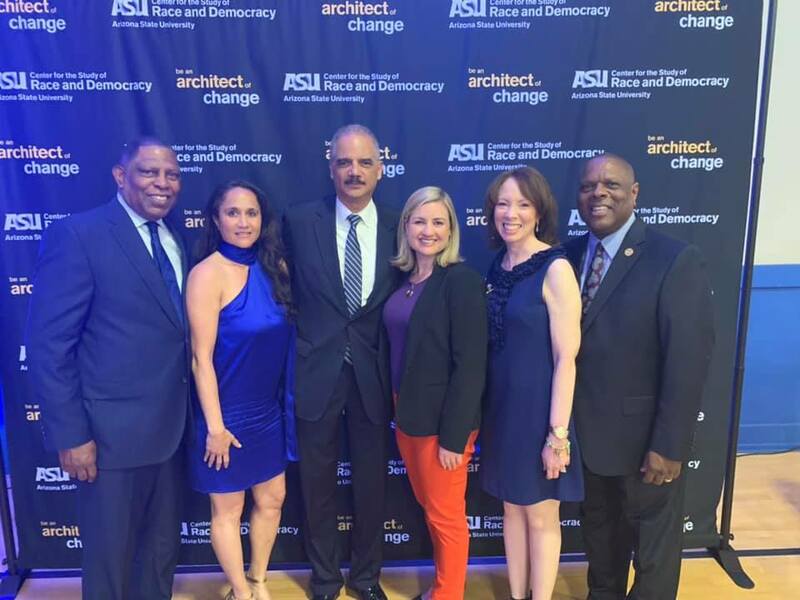 ASU Center for the Study of Race and Democracy Delivering Democracy Lecture w/ The Honorable Eric Holder as the Distinguished Lecturer really hit it out of the park with this event. We had the pleasure of meeting and talking with the 82nd Attorney General after the event at a reception where we were able to catch up with Phoenix Mayor Kate Gallego. All in all, a pretty terrific Saturday. A photo gallery can be viewed under the Galleries menu. My daughter, Beth Lynk, is featured in a front page article in the Wed., April 3, edition of the Arizona Informant, on the 2020 Census. The article is entitled, "Census 2020: For All To Count, All Must Be Counted." Beth is the Director of the Census Counts Campaign at the Leadership Conference on Civil and Human Rights in Washington, DC. It is important that we all participate in the Census, and that we urge our family, friends, colleagues and neighbors to do so as well. 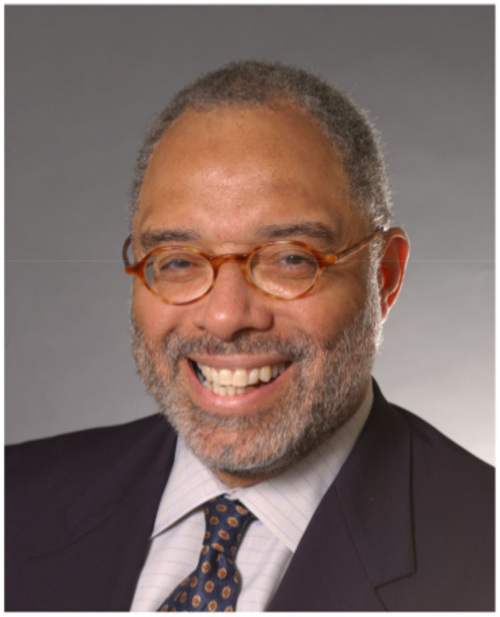 Read full article courtesy of BlackPressUSA here. 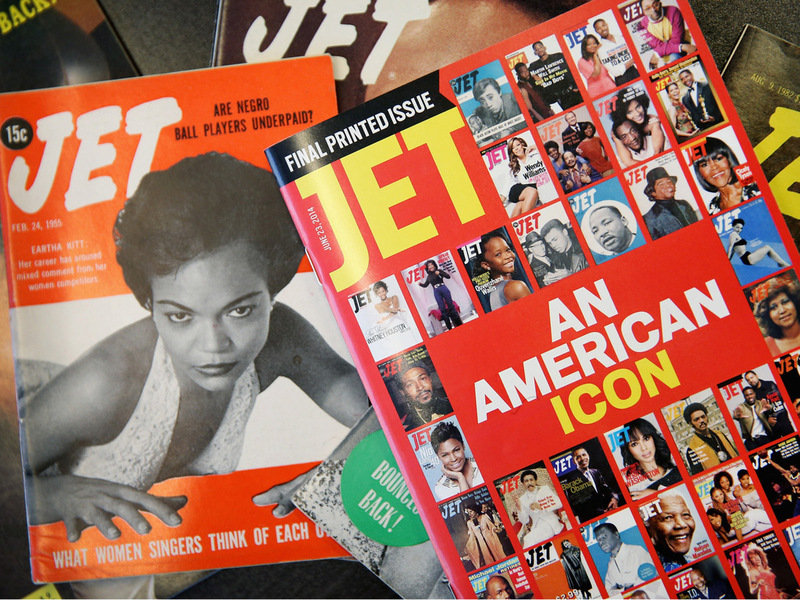 The Chapter 7 bankruptcy petition was filed late Tuesday afternoon by the company once responsible for Ebony and Jet magazines. It sold the magazines in 2016, meaning Tuesday’s move does not affect the publications. The company said it “was caught in a tidal wave of marketplace changes and business issues which, despite exhaustive efforts, could not be overcome.” It said it hoped to maximize the value of its assets through a sale which would benefit its creditors. Read full article courtesy of Chicago Times here. 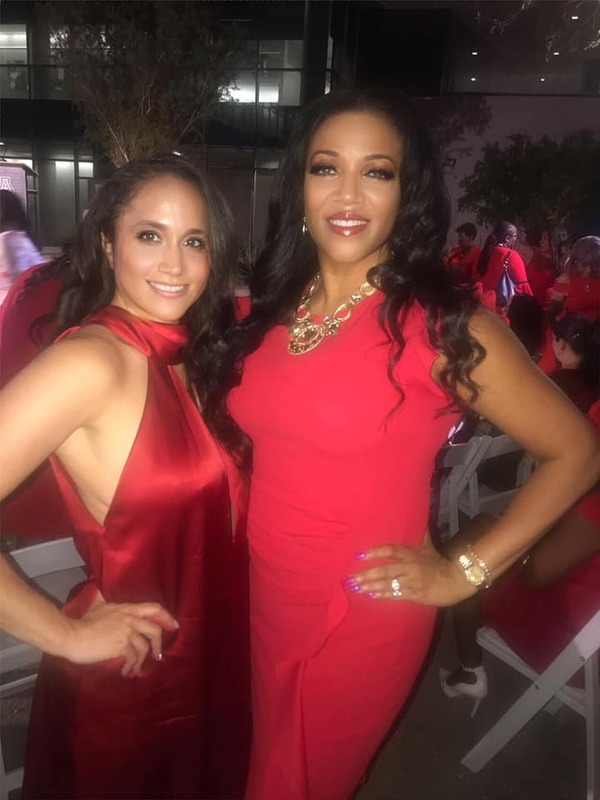 On Wednesday night, I had the pleasure of attending the 11th annual Red Dress Cocktail Party. These are two of the beautiful and intelligent women who attended the event. Did you know that 42.7 million women in the U.S. are living with heart disease? That’s compared to 2.9 million women who are living with breast cancer. The purpose of the Red Dress Cocktail Party is to educate us about women’s heart risk. I like to say that the event helps educate my mother, wife, and daughters about their heart risk. It is hard to imagine anything more important. Next year, let’s make a special effort to substantially increase the number of men standing by their ladies at this event supporting women’s heart health. The so-called “smart agriculture” market is projected to reach $13.5 billion by 2023. As technologies like the Internet of Things transform business and farming operations from the U.S. to East Africa and India, there is enormous opportunity to improve the quality and sustainability of our food – not just the volume of yield. I spoke with Tony Franklin, General Manager for the Internet of Things at Intel Corporation, about the trends and examples he sees in this space. Lorin Fries: How does Intel address food systems through its Internet of Things (IoT) portfolio? Tony Franklin: We try to identify how our technologies can be applied to solve problems for target markets and customers. We focus primarily on high-performance computer technologies, as well as communication technologies, which have great applicability for food systems. We work closely with a broad ecosystem of partners to enable more data collection about the environment, to analyze that data, and to improve our ability to make decisions that improve operations, including on farms. Read entire article courtesy of Forbes here. African-American law enforcement officers must balance two identities simultaneously during these complicated times, and each identity serves the other, according to a panel discussion at Arizona State University on Thursday night. 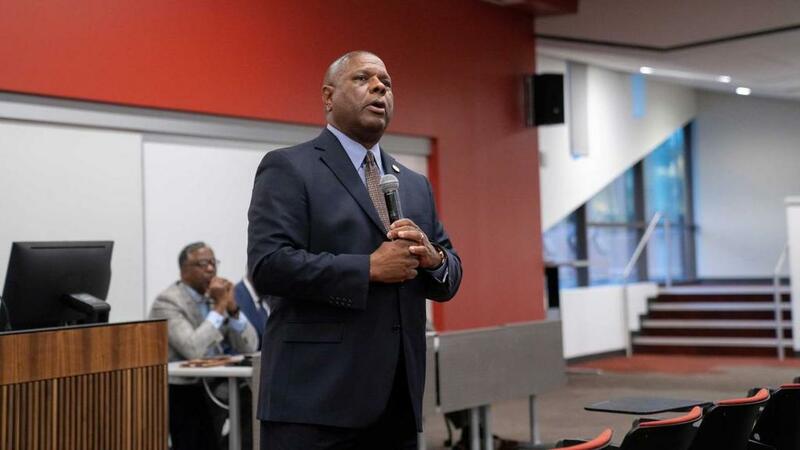 Five African-American men discussed the complexity of race in their experiences as professionals in the criminal justice system in a talk titled “Being Blue from a Black Perspective” at the Beus Center for Law and Society on the Downtown Phoenix campus. Read complete article compliments of Arizona State University here. Thank you for your past support of Gamma Mu Educational Services (GMES) Inc. in our efforts to bring mentoring guidance, positive role modeling and leadership development to young men and boys in our community. GMES, Inc. is once again inviting you to provide sponsor support and participate in our annual fund raising golf tournament. We are again partnering with Grayhawk Golf Club, Scottsdale, to host the tournament at their Talon Course on May 18, 2019. Please visit www.GMESAZGolf.com for detailed registration information. Your past support of GMES, Inc. and our golf tournament has positively impacted the lives of over 700 boys and young men who have participated in GMES, Inc. supported programs over the years. Our GMES, Inc. Board has approved for disbursement $56,500 in funding to our local partners whose work and mission supports our “Pathways To Excellence” mission objectives. We are committed to the positive development of young men and boys, empowering them with knowledge, skills, and experiences needed to build confidence and foster personal and professional achievement in the class room and community. In addition to these organizational funding grants, GMES, Inc. continues to sponsor the “Honors College Speakers Series” program at Grand Canyon University and the “Arizona Living History Program”. Both these programs include funding, the administration and active participation of GMES, Inc. members all of whom are successful business and professional leaders. We sincerely appreciate your past support and look forward to having you join us for our 2019 fundraising golf tournament. You can find more information about GMES, Inc.at www.GMESAZ.org. SPPWorld is not affiliated with the Grand Boulé and is available to individual boulés on a subscription basis. SPPWorld does not connect to the Grand Boule website in order to exchange membership data, content, or services. Member Boulé participation is voluntary.